WOW! Wizz Air launches 8 new routes from Warsaw: Lisbon, Malta, Alicante & more! We have some amazing news for you today! Wizz Air just announced new expansion in Warsaw: they will launch 8 new routes from the Polish capital. The new destinations served by Wizz Air from Warsaw are Lisbon, Catania, Alicante, Dortmund, Larnaca, Verona, Torino and Malta! Another good news is that Wizz Air stays on main Warsaw airport – Chopin airport – which is much closer to the city center than Warsaw Modlin airport used by Ryanair. Most of these new destinations will be served once a week, Lisbon and Larnaca two times per week and Dortmund will be connected with Warsaw by 4 flights per week. Flights to Torino and Verona will start on 17th January 2015, Dortmund, Larnaca and Lisbon will be operated from 29th March 2015 and the other destinations from 4th April 2015. 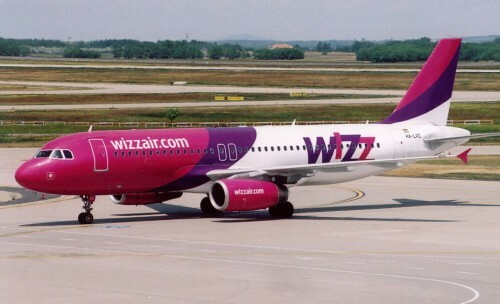 To make it even better, Wizz Air announced new airplane based in Warsaw airport at the end of March 2015 which will further increase frequency on other routes, for example flights to London Luton will be operated 24 times per week instead of 20 flights per week until now. Tickets to these 8 new destinations are already bookable via Wizz Air’s booking system and prices start at just 99 PLN (€23). « Cheap flights to Malaysia: Kuala Lumpur for €451!